Happy birthday, Nwain! 3 years online. Nwain: The Knight Who Wandered Dream launched 3 years ago today! 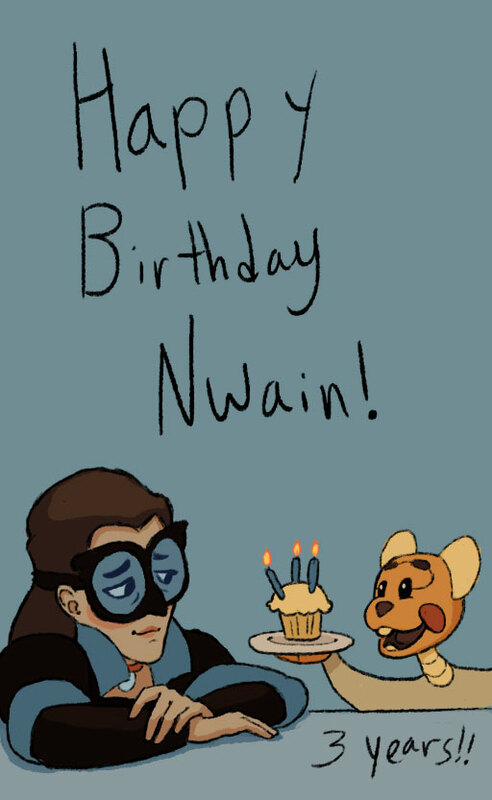 Happy birthday, Nwain! It’s taken hours of work and lots of effort, and I’m still going! We’re in the middle-ish of Chapter 3 right now. The majority of the cast has been revealed, and I’m excited to further develop them all and their relationships. Patreon support helps me keep making Nwain! Buy Nwain stuff on Gumroad (download free stuff too)!